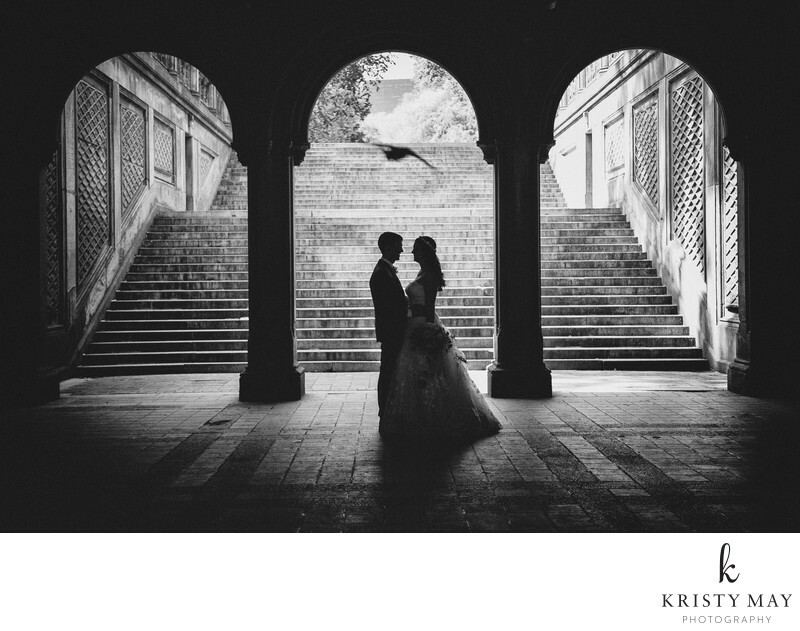 A bride and groom are silhouetted under the Bethesda Terrace in New York's Central Park. The arches perfectly frame the couple who were just married by the bride's father at the Dene Shelter in a moving ceremony. The usually busy tourist spot is quiet in the early morning hours which is a perfect time to have a ceremony in the park.